The Congress questioned Modi government’s foreign policy after China recently thwarted India’s attempt to get JeM chief Masood Azhar declared terrorist by the UN. 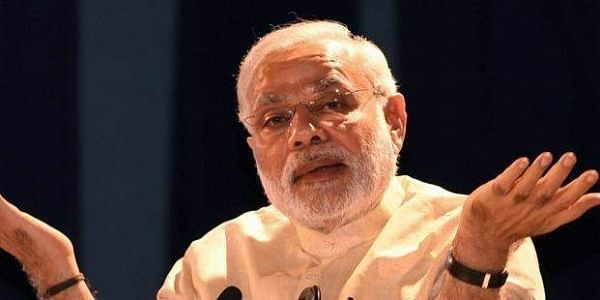 NEW DELHI: The Congress questioned Modi government’s foreign policy after China recently thwarted India’s attempt to get Jaish-e-Mohammad chief Masood Azhar declared terrorist by the UN. “Modi government has once again compromised national security,” charged Congress spokesperson RPN Singh. According to the Congress, in September the BRICS, of which China is a key member, had declared Lashkar-e-Taiba (LeT) and the Jaish-e-Mohammed (JeM) among groups responsible for committing, organizing or supporting terrorist acts in a joint statement. “This was hailed as a big diplomatic victory by the Modi government. Now China has used a ‘technical hold’ to veto a proposal to declare Masood Azhar as a global terrorist,” said Singh. Claiming the record of the previous UPA was better in dealing with terrorism, Singh pointed out that after the 2008 Mumbai terror attacks the Congress-led government had used diplomatic channels in the international community to ensure that a $10m bounty for the perpetrator Hafiz Mohammad Saeed, founder of Pakistan-based militant group Lashkar-e-Taiba, was announced by the US in 2012. “False bravado, chest thumping and hyperbole have become the hallmark of BJP’s foreign policy,” said Singh. Recalling the infamous 1999 hijacking of an Indian Airlines flight the Congress said the BJP often compromised national security as was evident in the release of Maulana Masood Azhar, Mushtaq Ahmed Zargar and Ahmed Omar Saeed Sheikh in Kandahar, Afghanistan by the previous NDA government. “It is the same terrorist Masood Azhar who heads Jaish-e-Mohammad in Pakistan and foments terror on Indian soil every day. May we also remind that it was the BJP supported government in 1990 that released 5 dreaded JKLF terrorists in exchange of Rubaiya Sayeed,” said Singh.